Israel is the land where more than half of the population of the world bow in respect and crave to visit it for spiritual enlightenment. 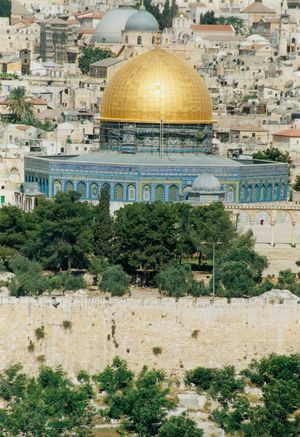 It nestles the birthplace of Christ, shelters the Promised Land of the Jews and preserves the Holy land of the Muslims. The best thing about Israel is that it delicately preserves the divine abodes and the ancient heritage along side a modern and high-tech society. The country has also evolved as an exotic tourist destination, leaving behind its political turmoil with Palestine authorities. Israel, officially the State of Israel, is perfectly located in southwest Asia at the conjuncture point of Europe and African continent. The country shares its boundaries with Lebanon and Syria in the north, West Bank and Jordan in the east, the Mediterranean Sea on the west, Egypt and Gaza Strip on the southwest, and the Gulf of Aqaba on the south. Jerusalem, though the bone of content within the Palestinian and Israeli authorities, is the capital city. 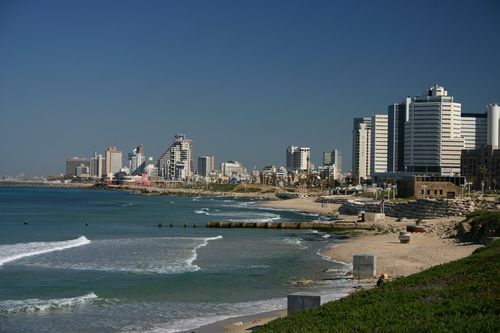 Tel Aviv, Jaffa, Haifa, Beersheba and Netanya are some other important cities of the country. The area calculation of Israel is quite a puzzling issue due to its ongoing tension with Palestine over jurisdictions in separate pieces of land. Including the acquired area of East Jerusalem and the Golan Heights, the area count stands at 22,145 (21,671 land) square km but it rises to 28,023 (27,549 land) square km after taking into account the disputed Palestinian-governed territory of the West Bank. The topographical feature of Israel ranges from forested highlands to fertile green valleys and mountainous deserts to coastal plains of the Mediterranean Sea. Tourism has flourished in the country along the shores of Dead Sea and other historical places and pilgrimages. Jews community dominates the Israeli population and outnumbers the Arabs and Christians by vast margin. Hebrew and Arabic are the two official languages of the country; the latter being spoken by the Arab minority and English is also widely used. The geographical features of Israel are often dominated by its political variations and disputes. It is a prominent existence on the extreme eastern end of the Mediterranean Sea. Situated on the western side of the Asian continent that can better be defined as Middle East, the southern shape of Israel resembles an ice-cream cone. The terrain of the country is blessed with nearly all elements of nature with desert and semi-arid lands of Negev at South Israel dominating over others. The Negev desert comprises of more than half of the nation’s total land area. It rests on the base of the western coast lowlands, central highlands and eastern Rift Valley of Israel. 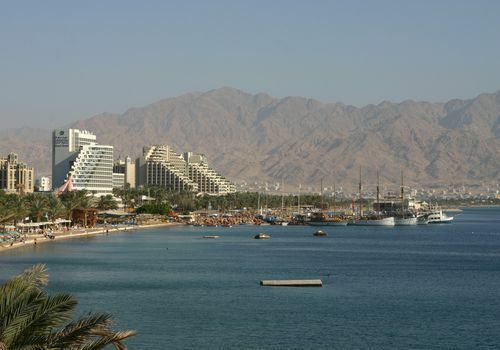 The desert sands end their journey at the shores of the Gulf of Aqaba, the southern tip of Israel. The eastern Jordan Rift Valley is an extension of the Great Rift Valley. This region is home to the country’s most important waterway, the Jordan River and largest fresh water deposition of Lake Tiberias, also known as Lake Kinneret locally. Other smaller rivers are the Yarkon, the Kishon, and the Yarmuk, a tributary of the Jordan. The Dead Sea is also situated in this region and is reputed as the most saline aquamarine existence and lowest point of earth at 399 meters below sea level. The central portion of Israel dons a rugged look with highlands and mountains ranges of Upper Galilee and Lower Galilee crisscrossing the terrain. The hills never exceed the moderate height of 610 meters and attain the zenith at Mount Meron with 1,208 meters. The high altitudes are interrupted by sudden emergence of river valleys and fertile lands like the Plain of Esdraelon. The nature of Israel comes to full bloom by the Mediterranean coastlines. It is dotted with beautiful sceneries and excellent climatic conditions. This region is home to the majority of the population. The diverse and overall dry topography of Israel determines the weather condition in the country. While the eastern Israel enjoys a Mediterranean climate with long, hot, dry summers and short, cool, rainy winters, the southern parts are bereft of any rainfall and make the Negev Desert. The central and eastern plains experience more or less moderate climatic conditions. However, in the first two months of the year, Jerusalem along with surrounding regions is swept by hilly winters with occasional snowfalls. 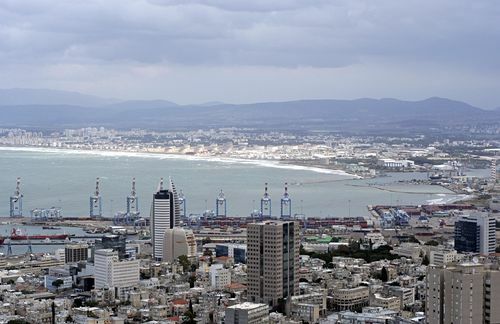 The mainland of Israel receives enough rainwater in the mid-year to supplement the agriculture sector of the country. Israel credits its extremely rich yet volatile past to the fact that Jews, Muslims, and Christians, all of them consider the country mainland a holy pilgrimage. In fact, the state of Israel is a young entity that came into existence only in the mid-twentieth century. It is a culmination from the land of Palestine after nearly a century of activity in Zionism. Before gaining the separate identity as Israel, this territory at Middle East was the breeding ground of Judaism around 10th century BCE. 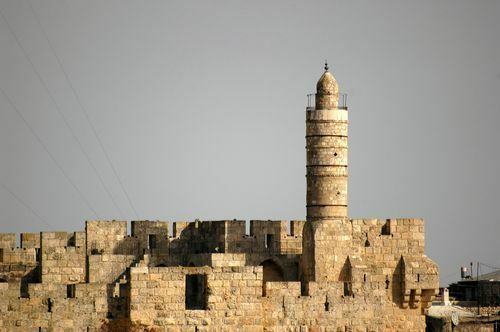 For thousands of years, The Jews community ruled over the region and the Jewish culture encircled around the holy sites of First and Second Temple. However, starting from 1200 BCE, the land of present day Israel was subsequently invaded by Babylonian, Roman, Byzantine, and Sassanian rulers. As a result of frequent attacks and following brutal oppressions, by A.D. 135, few Jews were left in the region and the population staggered at 20-25,000 people. 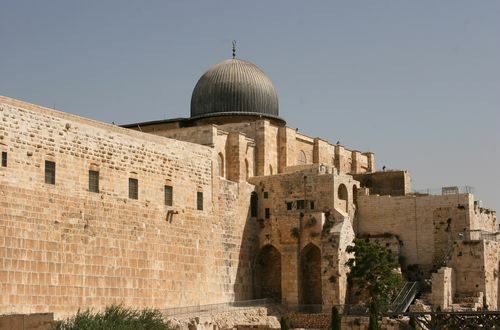 However, during these foreign reigns, two of Judaism's most important religious texts, Mishnah and Jerusalem Talmud, were composed and the country emerged as the Holy Land and as a Promised Land for both Christian and Muslims. The Arabs began their conquest of the region sometime between 634 and 640 and ruled until the Ottoman Turkish took over in the early sixteenth century. This multi-religious conglomeration was the driving factor behind the greatest war of religion in the world history, the Crusade. The first foundation of a separate and independent Jewish state was established by Theodor Herzl, who founded the Zionist movement in the ending decade of nineteenth century. The primary success of the movement was evident from the series of ‘Aliyah’ or waves of Jewish immigration to the country from different parts of the world. This flux of Jews bolstered the dwindling population count in the then land of Palestine or present day Israel. This effort to establish a Jewish homeland received British approval in the Balfour Declaration of 1917. The horrific mass annihilation of Jewish people under the Holocaust agenda of Adolf Hitler brought in global sympathy for the Jewish cause. However, Arabs in Palestine and surrounding countries bitterly opposed all the international proposals to partition Palestine into Arab and Jewish sectors. After decades of infighting and riots, the British authorities ended their mandate and officially withdrew on May 14, 1948 to proclaim the independent State of Israel. Within hours of liberation and newfound independence, Israel was attacked by neighbouring Arab forces from Egypt, Jordan, Syria, Lebanon and Iraq. Israel thus emerged victorious and increased its original territory by taking Golan Heights and part of modern Jerusalem. Israel signed several peace treaties with the attacking nations to resolve the issues but the Oslo Accords on September 13, 1993 with Palestine authorities has become an on-now-off-now relation. The conflict between the Jews and the Palestinians living within Israeli territories is a continual source of tension between Israeli and Palestine authorities that is often intervened by UN officials and global leaders. Israel boasts of a relatively balanced economy with mutual co-existence of government and private owned enterprises. On the basis of profits from oil refining, diamond polishing and semiconductor fabrication units, the country manage to maintain parity with huge debt amount that it owes to United States of America. The influx of huge Jews population to Israel from different parts of the world during the twentieth century helped in growing an educated and knowledgeable work force. This phenomenon resulted in high-end technological advancement and incredible nuclear power development in the country. Due to scarcity and unequal distribution of rainfall, the agriculture of Israel had lesser chances of flourishing, but it made up the odds with extensive manmade irrigational facilities. Nowadays, processed diamonds, technological innovations, military products and agricultural products are the major exports. Tourism is one of Israel's largest sources of revenue. Israel's chief trading partners are the United States and nations in the European Union, especially Britain and Germany. Israel does not have a complete written constitution, so it relies on the "Basic Laws of Israel" to conduct its day-to-day administrative services and political formalities. These 11 basic laws are set out by the unicameral parliament of Israel known as the Knesset. The Knesset has 120 members who are elected by secret ballot following the party-list proportional representation system in every four years. The Knesset members weld the legislative powers through supervising government activities and enacting laws. The executive segment of Israel revolves around the president, prime minister and the set of cabinet ministers. The president is the ceremonial head of state of Israel and is selected by the Knesset members. The government functions under the leadership of the prime minister and his cabinet, all of who remain accountable to the Knesset. The judiciary of Israel comprises of a Supreme Court and several Magistrate and District courts. The justices appointed for life by the president of Israel are elected by the Knesset. 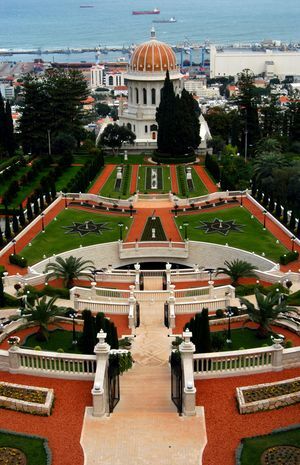 For governmental purposes, Israel is divided into six districts of Central, Haifa, Jerusalem, Northern, Southern, Tel Aviv.